Arrrrrrrgh… for the perfect little Pirate! This edgy shirt is fun for big and small boys alike! 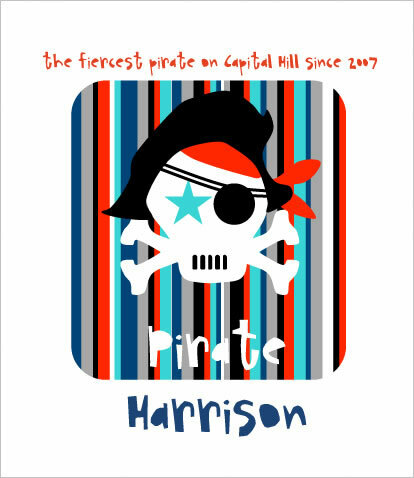 Add in his first or last name as well as the city or neighborhood he lives in and he will be the coolest pirate walking the plank!